Transgendered characters are rather rare in comic books. Sure there’s the cliche of Superman waking up as a woman one morning and Wolverine being changed into a woman by a fellow mutant; but neither of them were actually transgendered. 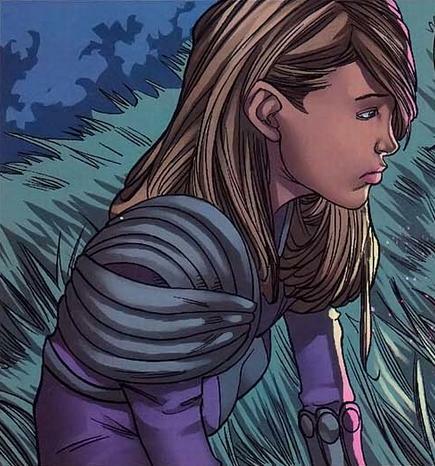 Xavin from Marvel’s Runaways actually is. To lighten things up after Watchmen, our next gay comic hero is the orange dinosaur Utahraptor from Dinosaur Comics. For those of you who’ve never read the often too poignant and meaningful to my life Dinosaur Comics, the web comic is the same six panel layout every day with mostly only the words changing. The pivotal scene where Utahraptor reminds T-Rex they once slept together. Utahraptor serves as T-Rex’s comedic foil in the stories. Which means, he generally points out how wrong or insensitive T-Rex is being and offers up his own opinion. In Episode 4, Utahraptor is confirmed to be gay; however, as creator Ryan North points out, Utahraptor has lots of other interests besides his own sexuality. At one point, Utahraptor and T-Rex were roommates and had a sexual, and possible romantic relationship. T-Rex conveniently forgot this, but Utahraptor still holds a torch for T-Rex. Perhaps a future episode will feature them hooking back up, which I’m sure T-Rex will suffer from more selective amnesia about. 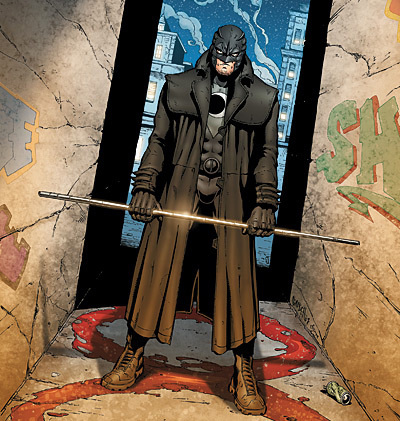 While these posts are part of a celebration of LGBT History Month, Watchmen‘s problems go beyond just sexual minorities, and I’ll also be covering gender and racial minorities in this part. 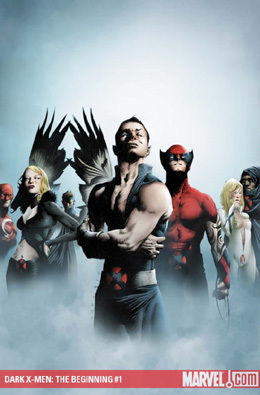 As a great story, Watchmen must be able to reach across all types of people and become a universal story. A universal story is enjoyable no matter who you are and no matter if you physically or emotionally resemble the characters. 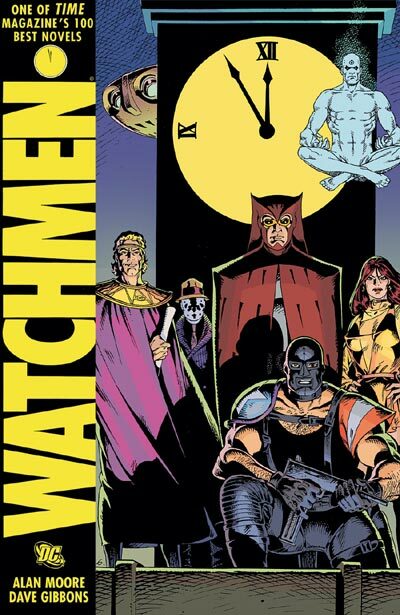 Watchmen, however, falls short from being a universal story as Alan Moore and David Gibbons normalize women, racial minorities, and sexual minorities through marginalization. Alan Moore and Dave Gibbons’ Watchmen is without a doubt one of the most celebrated comics ever created. Published in 1986-87, they took archetypes of classic Charlton Comics’ characters, gave them flaws, and put them in a dystopian alternative universe where the United States won the Vietnam War; Nixon’s still president for several terms; nuclear war with the U.S.S.R. seems imminent. 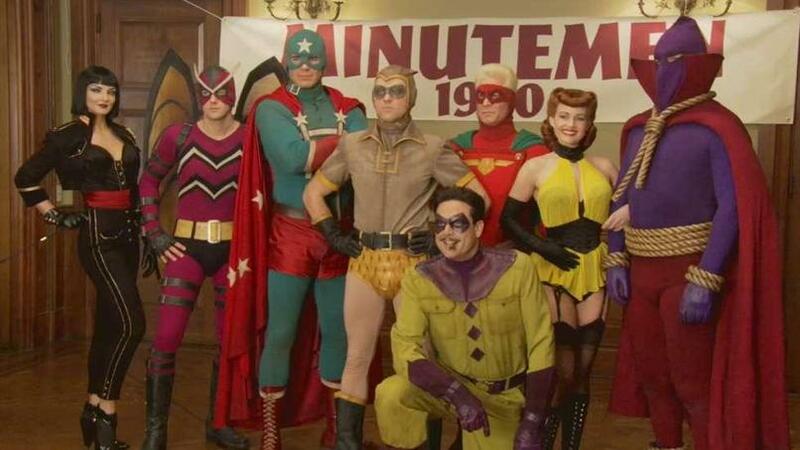 While Watchmen mostly focuses on the second superhero team, the Crimebusters, it features flashbacks to their predecessors, the Minutemen. The Minutemen had three notable LGBT characters: Ursula Zandt (Silhouette), The Hooded Justice, and Nelson Gardner (Captain Metropolis). Sadly, all three have been murdered before the story ever begins. This is problematic given the history of LGBT characters being killed off, and I will go further into this in Part 2 of 3. 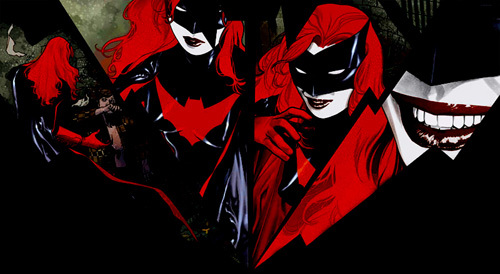 The D.C. Comic’s PR machine certainly hyped the new Batwoman, specifically the fact that Kate Kane is a lesbian. Before Kate made her first appearance in 52 #7, everyone had an opinion on this lipstick lesbian who was fighting crime in high heels and a cape. 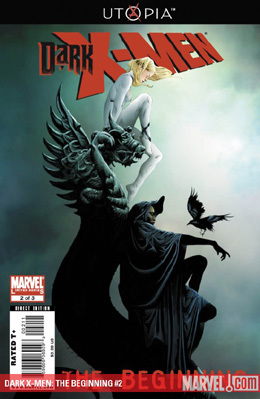 However, unlike many who brushed Kate off as a publicity stunt, I’d actually read Greg Rucka’s writing before and trusted him to created a solid background for Kate. For better or worse, 52 was the first DC book I really picked up on my weekly pull list. Okay, this is almost cheating. 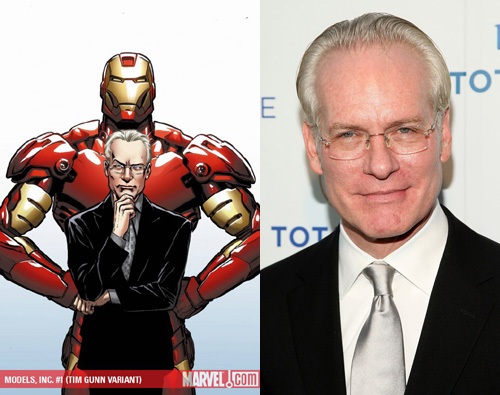 However, Marvel went and immortalized Tim Gunn in comic book form. And that was the only reason I picked up Models Inc. #1. Tim Gunn is most famous for being the mentor on Project Runway, which is where I fell in love with him. He’s truly an amazing mentor to those contestants and the women seeking fashion advice on his other show, Tim Gunn’s Guide to Style. Tim’s also famous for revolutionizing the curriculum at Parsons: The New School for Design in New York City. Tim is openly gay, and one of the most respected voices in fashion. Karolina Dean once named herself Lucy in the Sky as her powers include flying via solar energy, which she emits in a colorful (and dangerous, if needed) rainbow blasts. 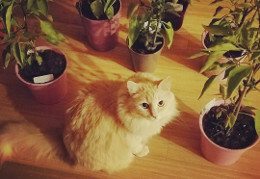 She’s also the hippie child and vegetarian of the Runaways. Oh, yeah, she’s also a lesbian. October is LGBTQ History Month, and back when I was in college, the LGBTQA group I led did a calendar project which featured one famous queer person per day. My favorite parts of this project was when people would be shocked to find out that one of their beloved celebrities was gay. (Don’t worry, we also included mathematicians, writers, politicians, and more for some variety.) 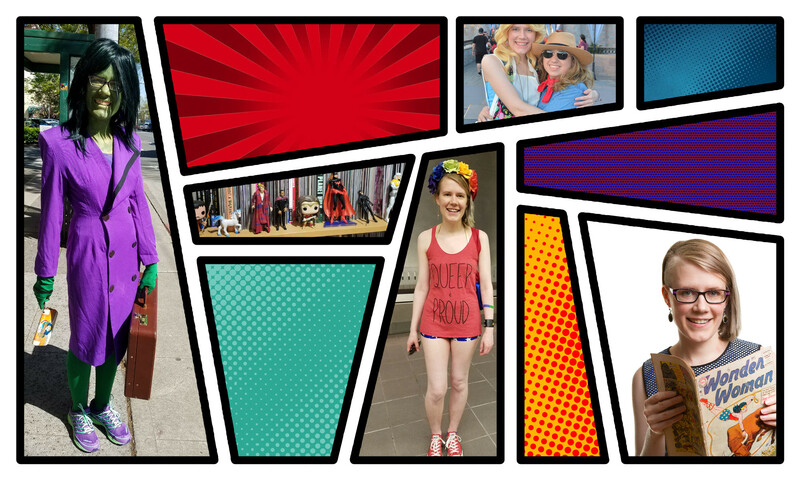 I thought I’d take this time to talk about some of my favorite queer comic book characters.